Dubai, UAE, 16th July 2009 - An Emirates' super-jumbo is to serve a second UK gateway - but passengers wanting to enjoy the ride between Dubai and Birmingham better be quick. In what is likely to be one of Emirates' briefest commercial deployments, an A380 will serve Birmingham for just one day on September 9th, as part of Birmingham International Airport's 70th anniversary celebrations. The much talked about double-decker will be used on one of Emirates’ two daily services to Birmingham, giving passengers the first chance to fly directly to or from Birmingham on the A380. Tim Clark, President Emirates Airline, said: “Emirates and Birmingham International Airport have enjoyed a successful partnership since we started services in 2000, and it’s fitting that we should mark this significant milestone in the airport’s history by flying in our most talked about aircraft. Joe Kelly, Birmingham International Airport’s Deputy Chief Executive Officer, said: “Our 70th anniversary is a fantastic milestone for the airport and we are delighted that Emirates is helping us celebrate our birthday with the A380. Additionally, this is the first commercial flight of an A380 outside of London Heathrow in the UK." Passengers will have two chances to fly on the superjumbo between Dubai and Birmingham. Flight EK039 departs Dubai at 0805hrs and arrives in Birmingham at 1235hrs. Alternatively, travellers can take EK040, which leaves Birmingham at 1505hrs and lands in Dubai at 0105hrs the next day. Spread over two levels, the whole of the A380 upper deck is dedicated to Premium passengers. Towards the front, First Class passengers can relax in one of 14 flat-bed, massage-equipped Private Suites. These incorporate remote-controlled doors, a work desk, an electrically controlled mini-bar and the most advanced in-flight entertainment system available to travellers. The aircraft boasts two Onboard Shower Spas - in First Class, which include heated flooring, leather seating and shower kits from Emirates’ premium spa brand, Timeless Spa. Business Class passengers will be able to enjoy a new generation of intelligent seating designed to ensure all seats have aisle access. There's a cleverly designed table that never gets in the way, and a seat that slickly becomes a fully-flat bed. Passengers have ample laptop stowage when they want to switch from work to fun and enjoy the award-winning ice entertainment system, which is available to all onboard. First and Business Class passengers can also take advantage of the Onboard Lounge, located at the rear of the upper deck. The lounge is designed to make passengers feel like they are in their own executive club, and offers seating with a wide range of beverages and canapés. A First Class Social Area with drinks facilities is located at the front of the upper deck. Passengers in Economy Class will notice the straight, rather than conventionally concave walls, throughout the cabin, giving the impression of increased spaciousness, enhanced by the more generous seats and wider aisles. September 9th is not only a significant day for Birmingham International Airport in the world of transport developments. Dubai Metro, a full automated, driverless railway system running throughout Dubai, is due to open the same day. Caption 1: One giant leap - An Emirates' super-jumbo is to serve Birmingham for just one day on September 9th, as part of Birmingham International Airport's 70th anniversary celebrations. The Food Control Department of Dubai Municipality organized an awareness programme to educate the students, who are undergoing summer training in the civic body. The students, who are being trained in Municipality's various administrative units, were taught the basic elements of food safety and the importance of healthy practices during the preparation and handling of food. The summer programme, organized as part of the Municipality's keenness to spread health awareness among the younger generation, focused on the category of the children of employees. The Food Control Department organized a workshop on the importance of the labels on the food products. The workshop ended with a trip to Carrefour Hypermarket at Mall of the Emirates, where the students were trained on how to check the food labels to make sure of some important information to be found during the selection of different food. The Food Awareness and Education Unit's role was not only to educate students; the program was extended to educate the public in the various shopping malls such as the Century Mall and Al Arabi Centre, in addition to the joint cooperation between the various government departments, covering a number of educational lectures at health centres. These programs were part of a series of activities and events undertaken by the Food Awareness and Education Unit throughout the year, they had a high response marked by the public. Dubai, 15 July 2009: The UAE National Committee to Combat Human Trafficking held its 15th meeting chaired by H.E. Dr Anwar Gargash, Minister of Foreign Affairs and Chairman of the Committee. The meeting hosted at the MSFNCA premises in Dubai discussed critical initiatives to be undertaken in the next phase as well as future plans to escalate efforts to combat human trafficking. His Excellency Gargash instructed the committee to escalate its efforts and present plans and efficient strategies that can professionally meet the next phase's requirements. He also sought suggestions to boost the committee's performance. He said that the focus of the committee for any future action should be to eradicate human trafficking in the shortest possible time span. This can be achieved only by intensifying efforts and coordinating them among concerned institutions and ensuring a unified stand against this crime, Dr Gargash explained. In line with this, the committee reviewed a presentation explaining the coordination mechanisms between the lodging centers for victims and concerned parties. Dr. Gargash highlighted the importance of maintaining such relations in order to attain the best results. He said that coordination between all parties was crucial in developing new mechanisms to limit the spread of this crime. The committee was briefed about the visit conducted by the vice-president of the Women Parliament National Assembly at the Inter-Parliamentary Union (IPU) to the UAE (please double-check this). The committee encouraged this move and noted the importance of leveraging cooperation with international organizations to highlight the UAE's achievements in fighting human trafficking by providing necessary data related to this field. The committee reviewed procedures relevant to the media campaign which will be kick-started in the fall of 2009. Dr. Gargash asked for an integrated strategy about this. The meeting also discussed the special report regarding the Belarus initiative at the UN to coordinate efforts exerted to fight human trafficking activities and recommended pledging full support to this project to achieve best results on the global scale. that coordination between all parties was crucial in developing new mechanisms to limit the spread of this crime. The committee was briefed about the visit conducted by the vice-president of the Women Parliament National Assembly at the Inter-Parliamentary Union (IPU) to the UAE (please double-check this). The committee encouraged this move and noted the importance of leveraging cooperation with international organizations to highlight the UAE's achievements in fighting human trafficking by providing necessary data related to this field. The committee reviewed procedures relevant to the media campaign which will be kick-started in the fall of 2009. Dr. Gargash asked for an integrated strategy about this. The meeting also discussed the special report regarding the Belarus initiative at the UN to coordinate efforts exerted to fight human trafficking activities and recommended pledging full support to this project to achieve best results on the global scale. The Dubai Department of Tourism and Commerce Marketing (DTCM) has announced that its customer complaints handling system is now ISO 10002:2004 certified, making it the second government organization in the emirate to have such a recognition for the complaints handling. The DTCM Director General, Mr. Khalid A bin Sulayem, received the certification from a representative of Lloyd’s Register Quality Assurance at the DTCM Head Office. Mr. bin Sulayem complimented Mr. Eyad Ali Abdul Rahman, DTCM Executive Director Media Relations and Business Development, for the efforts towards obtaining the ISO certification for the complaints handling system which was first introduced in the year 2000 and now forms part of the Dubai eGovernment’s eComplaints system linking various government departments. The ISO 10002:2004 provides guidance on the process of complaints handling related to products within an organization, including planning, design, operation, maintenance and improvement. The complaints-handling process is suitable for use as one of the processes of an overall quality management system. The ISO 10002:2004 addresses various aspects of complaints handling including enhancing customer satisfaction by creating a customer-focused environment that is open to feedback, top management involvement and commitment through adequate acquisition and deployment of resources, including personnel training; recognising and addressing the needs and expectations of complainants; providing complainants with an open, effective and easy-to-use complaints process; and reviewing the effectiveness and efficiency of the complaints-handling process. The ISO 10002:2004 certification enhances the existing ISO 9001:2008 Quality Management System at the DTCM. DTCM’s Business Development Department is in charge of handling and processing the complaints received about DTCM and Dubai. It is DTCMs Policy to listen and respond to the views of our customers and stakeholders, and in particular respond positively to complaints. Customer can lodge complaints through various channels, including contacting Toll Free Number 8007090 or through email to ecomplaints@dubaitourism.ae or info@dubaitourism.ae. Complaints can be lodged in person by visiting the DTCM Head Office or the Visitors’ Information Bureaus at six locations in the emirate, including two at the Dubai International Airport’s Terminal 1 and 3. DTCM officials said the ISO 10002:2004 was a step towards upgrading the tourism product offering and improving the customer services through effective and timely handling of complaints from Dubai visitors thereby strengthening their trust and confidence in the destination. Dubai, U.A.E., 14th July 2009 – Hot on the heels of the recently launched credit accounting module c-Trade, the Calogi team has recently implemented the first phase of c-Power – a ground-breaking GSA and airline module. To date, over 50 GSAs and airlines have already signed up for c-Power, resulting in a user base for the product of over 300 subscribers from the outset. Built on a solid understanding of the air cargo industry, c-Power has been added to Calogi’s ever-growing portfolio of innovative air cargo portal supply chain solutions, delivering a one-stop shop for seamlessly conducting business amongst a range of industry stakeholders. The new product further enhances an already impressive range of services on offer and increases the number of unique additional benefits available to subscribers. The module is intuitive and simple to use, enabling both GSA and airline staff to commence transacting business using c-Power after only a short training session. The Calogi team continues to strive to introduce further enhancements and is already working on the second phase of c-Power. Phase II will add schedules and availability; capacity management; a booking engine and the ability to set embargos. Murray added “As part of our commitment to the industry we have made this package extremely affordable, in line with other packages. We have already received enquiries from potential customers operating in other GCC communities and we are planning a regional expansion programme to meet their needs." c-Power joins the existing Calogi product range which includes a number of dedicated seamless solutions: c-eTrans for shippers; c-iTrans for consignees; c-ePro for export agent forwarders; c-iPro for import agent forwarders; c-eBridge for export air cargo terminal handlers; c-iBridge for import air cargo terminal handlers and c-Switch for message brokerage (Electronic Data Interchange with subscriber host systems). Visit http://www.calogi.com/ for more details. The environmental drive organized by Dubai Municipality this year under the slogan, "Say YES to a Clean Al Fahidi," has received tremendous response from the public. According to Khalid Mohammed Badri, Director of Corporate Marketing and Relations Department at Dubai Municipality said the campaign, which received 81% satisfaction from the public, was held with a goal to raise the basic level of environmental awareness of the commercial areas of the Emirate of Dubai. The community participation got expanded in the public cleanliness operation for a clean society and environment compatible with the high status of Dubai among the advanced and developed cities in the world. Badri said the media campaign have been instrumental in the success of the objectives of the campaign. He said the results of the questionnaire circulated among the public indicated the effectiveness of the advertising campaign to increase awareness as posters and brochures were distributed in the Al Fahidi area, which has contributed in creating public awareness on the importance of hygiene in the area. The results of the questionnaire showed that 81% of the respondents were satisfied with the questionnaire, and 86% said the campaign contributed in increasing awareness of the importance of providing a clean and healthy environment. For the first time, confirmed 100% of the shop owners said they will continue to intensify their efforts to provide an good environment in their shops and public places, and the continue to abide by all laws and regulations targeted by the Dubai Municipality in this campaign. The campaign reached to 98% of people and this in turn emphasizes the need to continue in future campaigns in the same area and other areas in the city of Dubai. The campaign targeted phenomena contrary to the general cleanliness such as throwing waste and cigarette butts, spitting in public places, and hanging out clothes on balconies in certain areas. The Municipality was eager for the launch the campaign to educate the public on the best environmental practices and the dissemination of health and hygiene awareness in the areas which were important areas of the emirate that witness commercial activity. Dubai, U.A.E., 13th July 2009 – Mercator’s end to end cargo solution, SkyChain, has recently gone live with the Sri Lankan national carrier, Sri Lankan Airlines. Duncan Alexander, Vice President, Mercator said: "This is another significant milestone in the road map of SkyChain. Sri Lankan is our first external customer to go live with SkyChain’s ground handling module; the carrier joins other customers including Swiss World Cargo which have already cut over with our airline solution. SkyChain, wholly developed by Mercator in Dubai, has been designed to automate every aspect of an airline's cargo business in a single integrated system in order to maximise performance, raise service quality and optimise resources. SkyChain is also compliant with the latest industry developments, such as IATA’s e-freight initiative, which is fully supported. Eng. Hamdan Khalifa Al Shaer, Director of Environment Department at Dubai Municipality, recently honoured the children of staff members of the department, who joined the fourth environmental awareness programme of the department, which was launched by the Environmental and Health Awareness Office to develop environmental awareness among the children of the staff. He thanked everyone who participated in the programme and helped in the dissemination of the environmental awareness among young people and informing them of the contemporary environmental and health issues and instilling in them the spirit of volunteerism. Al Shaer noted that the programme helped the students take advantage of their leisure time during the summer vacation with a useful and enjoyable programme, and also to promote and develop the services of the office for the different categories of customers. The programme included environmental and health awareness lectures in an exciting educational form, environmental workshops and a variety of visits and trips to different environmental sites, and various competitions. The ceremony included several items presented by the students who participated in the course, a film about the programmes and activities held throughout the programme this year. The ceremony also witnessed honouring of those who participated in the organization of the session, including the Takatuf Programme, International Training Service Department of Dubai Police, Emirates Diving Association, Al Wahda Sports Club, Heritage and Diving Village, Health Awareness and Behavioral Sciences Section of Dubai Health Authority, Sharjah Natural History Museum, PC Refurbishment Centre, General Secretariat of UAE Municipalities, and the departments of Human Resources, Architectural Heritage and Waste Management at Dubai Municipality. A delegation from the Public Relations and Communications Department at the Abu Dhabi Municipality visited the Dubai Municipality's Corporate Marketing and Relations Department. The delegation was briefed on the tasks, accomplishments and plans of the Department. The Abu Dhabi delegation included Mr. Adel Hussein Al Rabia, Director of the Public Relations and Communications Department, Mubarak Saif Al Mazroui, Head of Public Relations Section, Khalid Allaq Al Hamadi, Head of Events and Media Production Section, Ali Ahmed Al Hosni, Media Production Analyst, and Ms. Badria Imran Marzouki, Public Relations Coordinator. The delegation was received by Khalid Mohammed Badri, Director of Corporate Marketing and Relations Department, Mr. Yousef Murad Salmin, Head of Public Relations Section, Farhan Hassan Al Marzouqi, Head of Corporate Marketing Section and Ahmed Salman, Head of Media Section. Mr. Badri stressed the importance of the cooperation and strengthening of relations concerning the work of the government liaison between the government organizations of the country, and the importance of the exchange of expertise, experience and best practices followed by the government departments in the field of public relations and communications. He pointed out that the Corporate Marketing and Relations Department in Dubai Municipality has made great strides in organizing events and activities in various fields. He gave them a brief on the achievements of the Department, the goals that are supported by the Municipality, the Department's strategic objectives and the role of the Planning and Development Office. During the meeting, both discussed various matters relating to the communications and relations, in addition to a presentation about the best practices and challenges of working in this field. Farhan Marzouqi, Head of Corporate Marketing Section gave a brief about his section and its role in the development of the marketing policies and ideas and the development of marketing and promotional campaigns, in addition to the implementation of participatory planning and fairs. He presented the Action Plan for 2009, and its operational indicators, and spoke on the strategy and marketing plan implemented by the section. Yusuf Murad Salmin, Head of Public Relations Section spoke about the objectives of the section and its role in highlighting the positive image of the Municipality, as well as its role in the interrelationship between the staff. 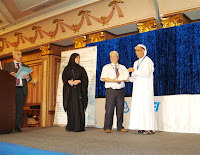 He also provided the visitors with an overview of the activities and events undertaken by the Municipality Staff Club. Ahmed Salman, Head of Media Section talked about the section and the units under it, and the role of each unit and the functions performed by the Municipality. He provided statistics for the Section's activities and achievements in the news, advertising, awareness campaigns, publications, electronic news, photography and film production, and radio reports. The Dubai Department of Tourism and Commerce Marketing (DTCM) has announced the opening of its Visitors’ Information Bureau (VIB) at the Terminal 3 of Dubai International Airport as part of its efforts to provide assistance to visitors in exploring the emirate during their business tours and leisure holidays. Mr. Salah Rashid Al Ansari, DTCM Director of Visitors’ Information Bureaus, said this was the sixth such facility operated by the department. The other VIBs are located in Dubai International Airport Terminal 1, Deira City Centre, Ibn Battuta Mall, Wafi City and BurJuman Centre. The VIBs offer complete information about the emirate and its tourist attractions and facilities to visitors, including various events and entertainment programmes and shopping promotions happening in Dubai and shopping promotions. They also assist visitors in providing information about hotels and hotel apartments. Mr. Al Ansari thanked the Dubai Department of Civil Aviation for allowing VIBs operations at the airport. He also thanked the shopping malls for allowing the DTCM set up VIBs in their premises which helps the department in making the emirate more visitors-friendly. One of the main objectives of the DTCM is to provide Tourism & Commercial information to both tourists and business visitors to Dubai. These bureaus distribute tourism brochures, booklets about Dubai and tourist facilities. The Gulf's largest Men's wear Showroom Chain Snowhite scored the achievement of having The Biggest Men's Wear Show Room in the Middle East today by opening its 35th Outlet in 22,000 square feet at Abu Dhabi. The biggest showroom situated in the heart of the Capital City in between Electra & Hamdan Streets and just behind the Etisalat building. The Biggest Snowhite was inaugurated jointly by Hiroo D Vassanani, the Managing Director of Snowhite , Abdel Saheb M Sajwani, the Chairman and Dr. Ramana Rao, the special Guest of honour who achieved the position as the humanitarian running the longest Free Clinic in the World in the Limca Book of Records. A large crowd including the officials, leaders of various organisations, well wishers, customers, media people etc witnessed the grand opening of Snowhite's new and biggest venture. Now Snowhite has outlets in UAE, Qatar, Oman, Bahrain and Kuwait and expected to be launched more outlets in the nearby future. The concept of high quality in men's wear mixed with the economical price range is the basic factor behind success, mentioned Hiroo D Vassanani at the press conference held immediately after the grand opening. More outlets with a lot of varieties are in the pipeline, Hiroo said. Dr Ramana Rao, Ab del Saheb M Sajwani attended the press conference along with Jayesh, the consultant of Snowhite. Since 1984, Snowhite is a known men's wear store chain concept with international exclusive high quality brands. The popular brands like Johnwin, Zoor, Croici, Cambridge, Changes, Seprise, Challenge etc are some of the common names attracted by Snowhite customers. The collections like Casuals, Formals, Regulars, Denims, Cotton wear etc are exported from the countries like China, India, and Indonesia for Snowhite. The Dubai Department of Tourism and Commerce Marketing (DTCM) and Beijing Tourism Administration (BTA) have signed an agreement to share and benefit from each other’s expertise in a variety of tourism-related domains and to enlarge the scope of mutual cooperation. The Memorandum of Tourism Cooperation was signed by the DTCM Director General Mr. Khalid A bin Sulayem and BTA Director General Ms. Zhang Huiguang at the DTCM Head Office recently. Ms. Zhang headed a five-member delegation which made the first-ever visit to Dubai. Welcoming the high-level delegation, Mr. bin Sulayem briefed them about the DTCM polices and projects aimed at tourism development and promotion and marketing of Dubai in overseas markets, including China where DTCM operates three representative offices. He also highlighted various initiatives launched by DTCM to tap the potential offered by markets like China and how DTCM has been participating in various tourism industry exhibitions and road shows over the years. In her remarks, Ms. Zhang said the delegation was impressed by the spectacular growth and development of Dubai and the high standards of service and excellence in the tourism industry in general and hotels in particular. She said there has been a substantial growth in the number of Chinese visitors to the emirate, largely due to the enhanced air-connectivity between the two countries and encouraging investment and business climate in Dubai. Both sides agreed that the Approved Destination Status (ADS) agreement signed between the UAE and China would go a long way in ensuring flow of visitors between the two countries in the coming years and give a big push to tourism development. The agreement cover among other things exchange of information pertaining to policies related to tourism development, investment opportunities in tourism, identify bottlenecks in the further expansion of tourism traffic and visitor interaction and recommend ways and means for removal of barriers with special emphasis of facilitating flow of tourist traffic in the two countries and support and encourage participation of the business communities and other tourism segments in travel exhibitions, and tourist festivals. In 2007, the UAE and China signed a MoU for the Approved Destination Status (ADS). In 2008, DTCM opened representation offices in three Chinese cities – Shanghai, Beijing and Guangzhou. DUBAI, U.A.E., 8th July, 2009 – Emirates airline is going the extra mile to help small and medium-sized enterprises (SMEs) through the economic challenges currently gripping businesses across the globe. To celebrate a successful first year for Business Rewards - the Dubai-based international carrier’s innovative loyalty programme tailor-made for SMEs - 5000 bonus Miles are being offered when each new account is activated. With firms in 55 countries across the airline’s network recognising the broad range of benefits available, the 24/7 online rewards scheme has grown from strength to strength and now has more than 5000 registered accounts across the globe. Russell Sheldon, Senior Vice President Network Passenger Sales Development, said: “Business Rewards has been fantastically popular, with cost-conscious companies attracted to the great value and benefits it offers both themselves and their employees. “Small and medium-sized companies are often the most vulnerable in periods of economic uncertainty and we are delighted to be able to help them keep their costs down – and reward their loyalty to Emirates - with bonus Miles. The award-winning programme has been so popular that Emirates – which serves 100 destinations in 60 countries across six continents - recently launched customised versions for the French and German markets. A key factor in the success of the free-to-join Business Rewards scheme – which gives members two Miles for every $1 they spend on travel - has been the mutual benefits it offers both SMEs and their staff. Each time a registered employee books an Emirates flight, the company earns Business Rewards Miles, while the individual traveller continues to earn personal Miles from Skywards, Emirates’ frequent flyer programme for regular passengers. The company can then redeem accumulated Business Rewards Miles against future bookings or – like many firms – use them to recognise the efforts of hard-working employees through staff incentive schemes. The programme also provides a convenient online portal for administrators at SMEs to manage employee travel on Emirates airline. The company must register with Business Rewards in the country where it is located, but it can accumulate Miles for travel undertaken by employees at all their branches into one central account. The offer of 5000 bonus Miles is only available until 30th September 2009 to new or existing members who have yet to make a booking. For full details on the offer and how to sign up for Business Rewards, visit http://www.emirates.com/. Buildings Department of Dubai Municipality organized its fifth meeting with the engineering offices and construction companies, developers and government property firms in Dubai. The meeting, which comes within the framework of the municipality's commitment to the continued development to provide services for customers, was held at its training centre. The meeting introduced the World Bank's concept of building licensing process and the necessary steps for the establishment of a comprehensive building, starting from the land map to getting an NOC, submitting plans, obtaining building permits, requirements of the work site, supervision, obtaining the completion certificates, application procedures for final delivery of the services. Eng. Khalid Mohammed Saleh, Director of the Buildings Department pointed out that the purpose of this meeting was to reduce building permits procedures and to hear the complaints of owners of companies, consultants and contractors regarding the issuance of permits and approvals by the municipality. He noted that Dubai Municipality has done a study of the building permit process, to develop and improve the licensing and construction process within Dubai to raise the level of international competitiveness, and has an inventory of all the steps required (compulsory and optional) of the construction of buildings in all stages in addition to holding a number of workshops within and outside the Municipality with the clients. Saleh said the licensing process is divided into three stages, pre-construction phase from the land map request to obtaining the building permit, implementation phase through getting the building permit to the certificate of completion, and finally, the post-implementation phase of the completion of the building to deliver services to it. Meanwhile, Mariam Al Hammadi, Director of the Corporate Excellence Department said that the Municipality will examine all complaints and suggestions made by the consultants, noting that the intention of the Municipality is to overcome the obstacles that stand in the way of completion of transactions and the best customer service possible. Eng. Salah Amiri, Assistant Director General for General Support Services, Hamdan Al Shaer, Director of Environment Department, Khalid AbdulRahim, Director of Customer Relations Department and representatives of other government bodies in Dubai were also present on the occasion. Among the activities and events organized by the Dubai Municipality for this year's summer student trainees, the Human Resources Department organized a trip to Dubai Police Museum. The visit comes within Municipality's keenness to educate students and provide them with information during their training period in the Municipality. The students went on a tour around the museum, which showcases the history of Dubai Police, its achievements and the quality of clothing and weapons that have evolved with the evolution of the place and the time. They were also introduced the pictures of the new and old leaders. The students expressed their happiness on this visit that increased their knowledge about the police. Dubai Municipality as part of the food safety awareness campaign held under the banner Food Safety is our Priority awarded a Certificate of Appreciation to Salkara & Calicut Paragon Restaurants. Announcing this in a press release Mr. Sumesh Govind, Managing Director said that it is indeed a great honour to get this certificate of appreciation from Mr. Khalid Mohammed Sharif Al-Awadi, Director of Food Control Department, Dubai Municipality. The certificate is a fitting tribute to our commitment as we get ready to celebrate our 70th anniversary, added Mr. Sumesh. Founded in the year 1939 by Mr. P.M.Govinda, the restaurant has carved a special place in food lovers mind by serving the most authentic Malabar cuisine in Calicut and Dubai. My grandfather was a perfectionist who strived for excellence and as the Managing Director it is my responsibility to continue the exemplary tradition set down by him. We strive to live by his philosophy by maintaining excellence and perfection. We take extreme care to follow the guidelines set ages back and this along with our vision, determination and dedication has helped us to firmly establish Paragon & Salkara Restaurant both in India and Dubai, pointed out Mr. Sumesh. While Paragon is noted for its multi cuisine, Salkara is well known for the authentic and exclusive Malabar cuisine. Even though there is a constant demand to franchise the outlets, Sumesh has taken the conscious decision not to do so. It is difficult to maintain the standard of excellence that we are used to and we have decided to take our expansion plan in a phased manner. Only after ensuring that Paragon, Dubai that we opened in 2005 met the stringent needs of customers, we opened Salkara in 2008 at Qusais. We have now planned Paragon outlets in Sharjah and Abu Dhabi as well as in Kochi. We constantly strive to improve on taste, hygiene and service and we will ensure that we are worthy of the trust placed in us by our customers, said Mr. Sumesh. Travelling on long-haul flight is now made easy and comfortable as Swiss International Air Lines, Switzerland’s national carrier, announced its Business Upgrade Intercontinental offer enabling economy passengers to fly Business Class for a reduced premium. Under the scheme, passengers who book a SWISS flight on Economy Class can upgrade for either one way or return trip to Business Class for a fraction of a cost. A passenger from Dubai or Muscat travelling to Switzerland and on other destinations to Europe, for example, will just add AED1,750 per flight leg. Passengers can avail of the upgrade from now until end of August 2009 and terms and conditions apply. “For most travellers, flying on Business Class is a major budget consideration but at SWISS, we have made this more affordable for our passengers. The comfort of our new Business Class, the centrepiece of the new A330-300, can now be experienced by passengers who will avail of our upgrade offer,” said Martin Massüger, Direc tor, Head of Sales Middle East, Africa, Pakistan and Iran for SWISS. On SWISS Business Class, passengers get to enjoy the new Business Class Seat which provides optimum travel comfort. The new Business Class Seat is fitted with a state-of-the-art air cushion for adjustable comfort in all positions. 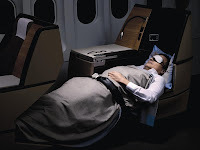 Passengers will have more personal space and enjoy sleeping with the 2-meter (79") fully horizontal lie-flat seat-a true “bed above the clouds” which is also equipped with a massage function. Inflight entertainment has been improved to carry larger screens in 16:9 format and plugs for USB and iPod. Seating arrangements for the Business Class assures ultimate personal space and privacy. The palette is equally pampered in the new Business Class as passengers are treated with the “Taste of Switzerland” gourmet dishes from the Canton of Schwyz prepared by Chef Daniel Jann. This summer, SWISS operates non-stop daily flights from Dubai to Zurich, daily flights from Muscat, Oman, five weekly flights from Cairo and four weekly flights from Riyadh and Jeddah. Overall, SWISS offers a comprehensive network of 90 destinations in 42 countries. Dubai Municipality has begun experimenting with remote administration system in order to develop work in the Municipality and introduce all that is new among successful administration practices, and supporting the trust between management and staff to supplement productivity. Abdullah AbdulRahman, Director of Human Resources Department said the civic body began working on spreading the culture of remote administration and the promotion of this system among employees who have been provided with this system, for which introduction and coordination sessions will be held with them. He added that the human aspect is one of the most important resources of Dubai Municipality in achieving success and implementation of its objectives and particular interest here is to build an organizational culture based primarily on the resource and, in turn, recognize excellence and achievements in order to pilot the introduction of global best administration practices in the management of this component. "The Municipality has focused on building a new administrative system that serves several purposes through the remote administration and take advantage of electronic facilities in the management of the office in a flexible manner to achieve several objectives. These objectives include retention of qualified staff who are in need of flexible work arrangements, especially for people who suffer from physical disability, to make services available to customers after the official working hours, reduce the waste of staff time, which requires the submission of their reports on field work to the head office, reducing absenteeism and delays and improve employee productivity by providing a suitable environment to work, in addition to providing office space to other staff, raise the level of satisfaction and make staff more loyal and faithful to the Municipality, achieve some of the rare skills that do not allow circumstances to come to the Municipality," said AbdulRahman. Qamar Redha Fadhlani, Head of Policies and Studies Section said that the system contributes to increas ed employee autonomy, freedom in decision-making and opinion, and to avoid some non-stimulating situations at work such as the direct relationship between superior and subordinate, which may occur by the collision. "It also helps in reducing the cost, the stress, movement process between home and Municipality and provides an appropriate method of work focused on results rather than the form of performance. There is a kind of balance between work and leisure-time for the employee, who gets increased amount of time to devote to home and family. It also provides job opportunities for residents of remote locations without the need to physically move to the office. The system helps in raising the productivity of the employee, and for society, the system contributes to reduce crowding, especially in the Central Business District area where the Municipality is located as well as minimizing the use of motor vehicles and reduce the proportion of the exhaust in the air. The system also allows for greater decentralization in the performance management, activities and tasks," he said. "To customers the system implements the principle of paperless administration relying on e-mail, e-archives and voice mail, and the realization of the principle of administration without place by the practice of working outside the Municipality from a preferred location of the staff member that supports his or her performance. It also helps achieve the principle timeless administration by working for longer periods of time preferred by the employee as long as the results were consistent with the objectives of the system and the provisions of the contract between the employee and the Municipality. It also achieves the principle of a moving and non-rigid administration in work through smart networks without the presence of the employee at the office inside the Municipality," said Fadhlani. He pointed out that there are many fields of application in the area of information technology in the Municipality, especially the entry of data in the computer, web-page designing, programming and Geographic Information Systems (GIS), work associated with the intellectual and creative activities such as translation, research and study of all kinds, drawing and engineering design, engineering and legal consultation, and accounting, in particular for the auditors outside. "This system is based mainly on the law of the Human Resources Department of the Government of Dubai No. 27 of 2006, Article 79, which focuses on performance and alignment of individual goals with the objectives of the Municipality staff and also of the Strategic Plan of the civic body for 2007-2011," said Fadhlani. He said that official policy will be determined at the Municipality level to give the right of option to the departments to implement this system in all parts of the Municipality, and the selection and testing of employees who will be subjected to experiment the system, including the requirements to have the ability to accomplish the work without contacting others face-to-face and be capable of measuring their work, and they should have maturity, trustworthiness, self-discipline, communication skills, self-esteem, and hard work. "Arrangements will be made for granting the employees, who will apply the experience of appropriate technology, to work outside the Municipality, and to raise the level of the staff who will be subject to this experience through training and guidance. A coordinator will be appointed for the implementation of the system, who will bear the responsibility of the extending the departments the technical guidance for the success of its implementation and addressing emergent problems and evaluating the outcome of the application. 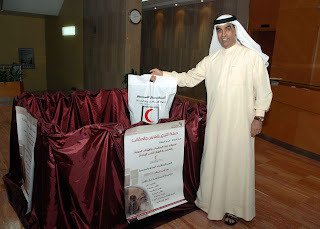 The International Organizations and Bodies Department of Dubai Municipality in cooperation with the UAE Red Crescent organized a campaign to donate clothing and school bags in the main building of the Municipality. The campaign comes as part of Dubai Municipality's keenness to organize humanitarian activities. Ismail Al Banna, Director of the International Organizations and Bodies Department said the goal of this campaign is to collect the largest possible number of clothes, school bags and ladies hand bags, comic books, stationery and kid's clothing, particularly for kids up to two years. He added that the poor in the society will benefit from this campaign greatly, calling all the Municipality employees to participate in this campaign. "The UAE Red Crescent, which has provided containers for the municipality to collect these items, will be distributing these household and school supplies to poor families in need around the world," said Al Banna. Dubai: The versatile actor and brand ambassador of Malabar Gold Padmasree. Mohanlal paid a visit to the new Malabar Gold showroom in Al Qusais to check out the recent brands introduced by the jeweller. Mohanlal was greatly impressed with the collection displayed in the new showroom and commented that the new brands, Ethnix and Era, embody the jeweller's promise of harmonizing beauty and quality by epitomizing craftsmanship. "It's a matter of pride to be the face of a brand that practices what it preaches", added the actor par excellence completing 30 years of mesmerising the moviegoers. Ethnix and Era, two designer brands from Malabar Gold was unveiled by Padmasree Mohanlal in a function held at Atlantis, Palm Dubai on 24th June. Ethnix is handcrafted designer jewellery that draws on the ethnic influences from Indias rich cultural heritage. These design influences are given new interpretations in 22 k gold necklaces, ear-rings and bangles. The new showroom at LuLu Hypermarket in Al Qusais was inaugurated by Padmasree Yusuff Ali M.A., Managing Director of EMKE Group. Dubai Municipality has completed the first phase of the network of hotlines between the public and the Municipality Call Centre. Khalid AbdelRahim, Director of Customer Relations Department said the first phase of the project included the installation of hotlines in a number of public utilities such as the Creek Park, Jumeirah Beach Park, Safa Park, Dubai Central Vegetables and Fruits market, and the fish market. "This project is an initiative of Dubai Municipality to manage the relationship with its customers. Visitors to these public utilities can communicate directly with the Municipality Call Centre just by lifting the handset of the phone. Through this service they can make any comments or lodge any complaints or offer any developmental suggestions about the services of these facilities in general and on any other service of Dubai Municipality," he said. "The Municipality Call Centre has been programmed to give priority to calls received through the hotlines, as it is convinced of the importance of the fact that the municipality needs to respond to these calls as quickly as desired," said AbdelRahim. During the past five months, the Centre received more than 13,000 calls from the visitors through hotlines and most of these calls were instant remarks related to these facilities, he said. "These calls were dealt with instantly through the corporate communications system for dealing with the public calls in the Municipality. These hotlines actually encouraged the visitors to communicate with the Call Centre in a flexible and faster way as those hotlines were installed at the main entrances of these facilities and at sites of concentration of services and the public at such facilities," said AbdelRahim. He added that during 2008 the Municipality Call Centre received more than half a million calls and more than 68,000 reports from the public and more than 80% of them were accomplished within the time frame. AbdelRahim stressed that Dubai Municipality would like to be a hotline channel by adding this new effective package to the existing channels of communication between the public and the Municipality. People can contact with the Municipality's organizational units online, through the toll free number 800900 of the Municipality Call Centre, the Suggestions System, the Complaints System, the Reporting System, and the IVR system. Dubai, U.A.E., 6 th July, 2009 – Mercator, the Emirates Group’s Dubai-based information technology provider has been recognised for its service excellence in the recent 2009 Middle East Call Centre Awards. Entering the awards for the first time this year, the Mercator team was delighted to walk away with the award of Best Medium Call Centre 2009. Mercare, Mercator’s customer care centre operates 24 hours a day, 365 days a year from a new state-of-the-art facility in the Emirates Group Technology Centre in Dubai. The centre provides a range of IT support services to over 115 customers including the Emirates Group, Dubai’s new low cost airline flydubai, ground handling agents, freight forwarders, tour operators and hotels. Receiving the award, Mercator’s Customer Care Centre Manager Patrick I'Anson said: “We are proud to receive the award for Best Medium Call Centre in recognition of our extensive work in the areas of customer service, operations and innovation. We have continually developed and improved our processes and services over recent years and felt confident in entering the awards for the first time this year. Boosted by this win, we look forward to continuing our progress over the coming year and to entering the awards again next year”. Dubai, July 5, 2009: Young boys from the Watani summer camp dissected a car engine to learn how to identify and understand its component parts this week, in a specialized workshop led by Khalid Al Qaseer, owner of the 90 Degrees garage on Emirates Road. The three-day workshop, offered as part of the national identity programme’s summer camp, updated boys between the ages of 10 to 14 on the basics of auto mechanics, including how to fix minor faults, the difference between internal and external faults, when to change engine oil and safe driving skills. The Watani summer camp, which this year continues until mid-August, aims to develop children’s creativity and cultivate their sense of national identity to foster participation in society. The camp, held over an eight-week period, includes art, science, environment, culture and heritage activities as well as weekly religious and sports activities. Dubai Central Laboratory recently organized a meeting with its customers in order to hear their views and discuss transparency in transactions and benefit from their feed back with regard to the development and improvement of laboratory services for the future. The meeting, held at Le Meridian Hotel, Airport Road, was attended by more than 200 customers and lasted about three hours. Eng. Salem Bin Mesmar, Assistant Director General of Dubai Municipality for Health, Safety and Environment Monitoring Sector was also present on the occasion. Eng. Hawa Abdullah Bastaki, Director of Dubai Central Laboratory said the Central Laboratory believes in the importance of customer satisfaction, in order to offer its services at a level exceeding their expectations. She said the laboratory communicates with customers for the purpose of continuous improvement and development of services consistent with international standards. The meeting started with a welcome address by Bastaki, in which she presented the most important achievements and services of the laboratory during 2008 as well as the future plans and services and the efforts to achieve them. Among the new services introduced by the laboratory, the prominent one was the test for green building products, which include testing thermal conductivity and water vapour leakage of the insulation material in addition to fire resistance tests. Eng. Bastaki announced the opening of a new on-site laboratory in order to offer test services at any time suitable with the dates of the work of the contractor to assist them in completing the projects on time. She also talked about the future plans and tests that are to be applied during the next year like testing the heavy metals. The meeting also witnessed a discussion between customers and officials of Dubai Central Laboratory where they answered the questions, followed by distribution of certificates and awards to the customers. At the end of the meeting, customers thanked the Director of Dubai Central Laboratory and the heads of organizational units for this initiative, and good communication with them for the purpose of improving and developing services. Dubai Municipality has begun this year's summer training programme for students last week. The students, who are from various categories of education from grade ten to higher levels of university, have been distributed among various departments and sections of the Municipality, where they will be working as employees throughout the training period, which will last until 6 August. The move is part of Municipality's policy of encouraging students to utilize their free time in useful community service. Ahmed Ibrahim Al Zarouni, Head of Human Resources Development Section said that the activities this year include a number of educational programmes that benefit the students. Al Zarouni said that the student trainees were distributed in different departments depending on their choice and their past experience. "The Municipality took into account the place of their residence and proximity to areas of training, and also the employment of family members who work for the Municipality in order to provide them an environment suitable for work," he said. Al Zarouni said that the summer training will provide the students with the opportunity to know the different services provided by the Municipality to the public, and some rules and regulations that it implements, as well as give students the opportunity to get acquainted with the nature and circumstances of work in the Municipality. He added that Dubai Municipality is one of the largest local government departments that attracts a large number of interns each summer, and it provides them with an optimal working environment to spend the summer, and the work they do during their summer vacation becomes useful to them in the future, especially for those who wish to join the Municipality later as priority is given to the trainees on applying for work in the Municipality at a later stage. He pointed out that the training program includes a stipend between Dhs1,000 to Dhs2,400 per month depending on their current academic level, and will be treated as a trainees in the Municipality with respect to their presence in work and their commitment to job regulations. The Dubai Department of Tourism and Commerce Marketing (DTCM) has announced a new summer training course – Introduction to Hospitality Today – offering UAE national students a hands-on learning about the different aspects of hotel operations. DTCM’s Training Solutions will be launching the training course in the second week of July 2009. Mr. Ibrahim Yaqoot, DTCM Executive Director Corporate Support, said "Introduction to Hospitality Today", would be offered for the first time at the DTCM's Training Solutions, and will be jointly offered by the Educational Institute of American Hotel & Lodging Association, USA and the Training Solutions of DTCM. The course incorporates hospitality and tourism, one of the UAE's leading industries. This course will give students an inside look at the hospitality industry. The duration of the course is for two days per week over a period of three weeks and the students will meet weekly at the Training Solutions and listen to lectures and take tours of the various hotel departments such as sales and marketing, front desk, housekeeping and the hotel restaurant. The course is intended to give students a broad overview of the service industry, including management of restaurants, resorts, bed and breakfasts and a variety of hotels, from a five-star hotel that is part of a national chain to a small, family-run hotel. This introductory program will be offered free of cost and is open to UAE nationals only. English will be the medium of instruction and applicants must have an acceptable knowledge of the language – both spoken and written. Students will receive a certificate both from the Educational Institute of AH & LA and the Training Solutions of DTCM upon successful completion of the course. Dubai, U.A.E., 2nd July 2009 – The Calogi team has recently launched an innovative new service for the members of its industry-respected cargo web portal. 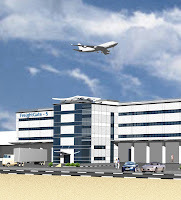 When first launched in Dubai in May 2008, the Calogi portal heralded a new era for the air cargo industry. From that launch, with just 53 companies (42 forwarders and 11 airline customers) the membership has grown significantly - today there are almost 1,000 users from almost 400 companies. They total 50% of all export and import transactions with Dnata’s FreightGates (who represent over 80 airlines) demonstrating the high level of interest in Dnata’s e-freight drive from Dubai’s airfreight community. Constantly reviewing its service and looking for innovative ways of enhancing its provision to members, the Calogi team has this month successfully implemented a new online credit engine called c-Trade. Eagerly awaited by its members, the new facility brings a number of unique benefits. Airline and GSA members can now efficiently manage their credit accounting activities wi th their forwarding business partners on a real-time basis. The online credit engine is characterised by greater flexibility - Calogi members can now set up tailor-made credit account criteria for each specific forwarder of their choice, linking 'own-sales' airway bill stock to these accounts. The successful launch of the new module was preceded by a comprehensive credit module training program for representatives from freight forwarders, cargo forwarders, airlines and GSAs, carried out by the Calogi training team at the dedicated training base in FreightGate-5 earlier this year. Some of the additional benefits of the online credit module include: the ability for each customer to set credit limits in accordance with the amount of risk they will take on; the set up of 'Spillover' levels - transactions to be completed against the forwarder’s own Calogi credit account so payments are guaranteed; the availability of up-to-the-minute online invoices and sales reports for 'own-sales' airway bill stock and the provision of a fully secure online environment allowing forwarders to view their on-line credit status. • Full Bank Guarantee (the customer's credit limit will be automatically equal to the bank guarantee amount plus a 25% overdraft amount to cater for any slight delay in payment processing and crediting of the customer account).• Partial Bank Guarantee (the customer's credit limit will be the bank guarantee amount plus an additional amount agreed with Calogi, based on the results of a credit risk assessment, plus an extra 25% overdraft amount).• No Bank Guarantee (the customer's credit limit will be agreed with Calogi entirely based on the results of a credit risk assessment (with no overdraft amount provided initially).• Direct Debit (where customers are do not wish to submit either a full or partial guarantee or provide creditworthiness references, an option is available to operate a direct debit account. To subscribe to this option, the customer just has to make sufficient funds available in advance of any transaction). Dubai Municipality inspectors, in cooperation with Dubai Police and the Dubai Naturalization and Residency Department, nabbed last month 201 persons including street vendors, beggars and illegal car washers. The sweep against the law-breakers had also resulted in the seizure of several low-quality goods and pirated CDs. Civic inspectors conduct daily spot checks in streets and public places to prevent street vending, begging and car washing in public places by individuals in violation of a ruling by the Ministry of Labour in this regard. Inspectors at the Control Unit of the Markets Administration Section in the Assets Management Department carry out regular checks in this regard. In June 2009, they caught a total of 201 people including 131 street vendors, 28 beggars, 28 car washers and 14 illegal butchers and fish cleaners. A total of 2,474 counterfeit products including ready-made garments, perfumes, cameras, and watches that were fake international brands were confiscated. Also, some 2,435 DVDs with pirated films, 62 pornographic movies, 218 foodstuff items including boxes of fruits and vegetables were seized last month. Eng. Hussain Nasser Lootah, Director General of Dubai Municipality recently held a special meeting with the senior leadership team of the Municipality, in which he discussed many topics that are related to employment and job satisfaction in the civic body and the efforts being made towards the creation of an excellent work atmosphere in the Municipality. Eng. Redha Salman, Director of Public Health and Safety Department gave a presentation on the achievements regarding the requirements of the standards in emergency and risk management. He also presented the Emergency Plan of Dubai Municipality, during which he explained the concepts and terminology of crises and disasters, then provided an overview of the plans, procedures and instructions that must be carried out in the event of a crisis and the importance of dealing with them during such occasions. The Municipality Action Team for Crisis presented the role played by each department according to the events, and also the achievements of Department in project for emergency, crisis and risk management, in addition to the terms of reference of the development of plans and policy development of the plans and the mechanisms and facilities to be used during crises and disasters. The Director General stressed the importance of an internal planning for the departments to deal with the crisis, with a rate of risks that might be exposed to by the departments, and determine their relevance and priorities in terms of the crisis they might have achieved. Qamar Redha Fadhlani, Head of Policy and Studies Section presented the report of the results of job satisfaction survey at the Municipality level as in 2008, during which he gave the strong and weak points in the report, ways of improvement, corrective actions, and opportunities for career development. Fadhlani also talked about the role of Human Resource Department in enhancing the percentage of satisfaction and the role department leaders to support and promote the achievement of job satisfaction in the civic body. Lootah stressed on the need for communication with staff at all levels, and the need to enhance the study of the strengths and weaknesses and the role that must be played by the Municipality towards them. Ahmed Ali Al Shehhi, Director of Partnership Department gave a presentation on his department, during which he highlighted the efforts of the Municipality in supporting partnerships and projects submitted in this area. He also talked about the accomplishments made through the partnerships and initiatives undertaken by the Municipality in various areas. He also stressed the importance of creating awareness among the senior management and its support for partnerships, which had positive impact in strengthening the relations and linkages. He also talked about partnership efforts and initiatives made by the Municipality with its partners. Khalid AbdelRahim, Director of Customer Relations Department gave a presentation on the leadership role in managing the relationship with the customers and highlighted the most desirable aspects that have been undertaken to strengthen relations with customers and the most important initiatives in improving these aspects. He also presented the actions and proposals that contribute to the promotion and achievement of customer satisfaction with the Municipality. Lootah also reminded the Municipality officials of the importance of achieving customer satisfaction through various programmes and activities that contribute to the achievement of this objective. At a meeting held at the DTCM Head Office recently, officials of Dubai Department of Tourism and Commerce Marketing (DTCM) and Dubai Naturalisation and Residency Department (DNRD) shared their experiences and knowledge about the promotion and marketing of Dubai, Public Relations initiatives and Community Services among other topics. The meeting comes as part of the efforts to enhance cooperation between various government organizations in the emirate, one of the major components of the Dubai Government Excellence Programme (DGEP). Mr. Saad El Sayed, Head of Arabic and English Media, and Ms. Nada Al Rubaya, Head of Arabic Media, briefed the delegation about the role and activities of DTCM and its Media Relations Division. They also highlighted the role of DTCM’s network of 18 Overseas Representative Offices in promoting and marketing Dubai as a leading tourism destination and how DTCM has been creating positive media coverage in different parts of the world. DNRD delegation was headed by Colonel Muroshid Al Shehehi, DNRD Public Relations Manager. DNRD delegation presented a memento to DTCM team at the end of the meeting. Dubai Municipality has launched an initiative called "Ambassadors of the Municipality," which is a project for the preparation of a voluntary group to clarify and explain the leadership role of the municipality and respond to all queries and comments received from the municipality. This was stated by Khalid Mohammed Badri, Director of Corporate Marketing and Relations Department, who said that the project aims to highlight the positive image of the municipality as a service organization, which has its services and duties towards the society and the promotion of municipality projects and facilities, and work together as a team with various administrative levels, and the project will adopt positive ideas, and work on opening channels of communication with other bodies such as the government departments, media, companies, educational entities and individuals. He added that the project seeks to highlight the different roles played by the Municipality in the cultural community such as setting up of libraries and museums, and maintenance of playgrounds and the creation of sports facilities (like the Olympic swimming pool), parks, recreational areas, and environmental activities, monitor the pollution level of and the preservation of public health and other topics. The project will contribute to the creation of positive outlook towards the Municipality and market the municipality facilities and projects in an indirect way, and work with the media. The scope of the project include web sites of the newspapers and magazines, radio programs such as direct broadcasting, letters to the editor in the newspapers, electronic forums, workshops and conferences and private meetings. The project will be run on two phases and during the first phase is the nomination of associates by officials in order to ensure selection of appropriate staff, who will be spreading the idea of the project to his colleagues in order to create interest in order to reach the large segment of the staff of the Municipality. The Municipality has identified a set of specifications that must be characterized by the Ambassador of the Municipality that include job loyalty, sufficient knowledge of the functions, services and details of the work in the municipality, have an internal desire, true to do the job, good hearing and the ability to make cool analysis, eloquence, balance, training and qualification and cooperation with the implementation of Human Resource Department for implementing training courses to enable them to do this work very nicely and the adoption of the scientific tools to gain influence and develop a work program for the refinement of skills, particularly with regard to dealing with the media. Eng. Hussein Nasser Lootah, Director General of Dubai Municipality on Wednesday opened the Municipality branch office in Qusais, which provides many services such as public health services, building inspection, waste management and food inspection as part of the decentralization policy adopted by the civic body in providing services to the public. The Municipality completed the project as an office of the Municipality Centres Department, which provides services of all Municipality departments and concerned departments in serving the public. The building, which consists of ground and first floors, has been constructed at a total cost of Dhs10.4 million. The project consists of a building that offers services of the Municipality departments such as Health and the Environment, car parking, stores, IT Department offices and workshops for the maintenance of the computers. The project, located at Al Qusais-2 at an area of 929 square meters, has been implemented over a period of 10 months. Lootah said that the idea of setting up external offices came out of the civic body's keenness to overcome all the obstacles facing the public and considering the various constraints, in addition to the ongoing follow-up plans in order to maintain the hygiene and public health and the beauty of the city. The project was carried out according to the design of a unified form to the offices of the municipality in order to give a unified image for these offices and it was activated in proportion to the big and important role of the Municipality in raising the level of environmental and health services, infrastructure and social development, and as a commitment to the best of standards for environmental protection and management of all areas related to environment and public health. Through setting up of branch offices, the Municipality commits itself its keenness to cope with the growth and ongoing development of the city of Dubai, as well as progress in all areas such as the increase of population in the city, and to avoid negative and the direct repercussions on the environment and its safety, and to meet the requirements of the public and facilitate their access to services, and offer administrative support services for the performance of its functions to the fullest. Lootah was briefed on all of its facilities in the presence of Obeid Salem Al Shamsi, Assistant Director General for Administrative and General Services Affairs, Eng. Essa Al Maidoor, Assistant Director General Engineering and Planning Sector, Eng. Salem Bin Mesmar, Assistant Director General for Health, Safety and Environment Monitoring Sector, Eng. 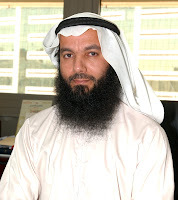 Salah Al Amiri, Assistant Director General for General Support Services Sector, Eng. Abdullah Raffia, Assistant Director General for Environmental Public Health Services Sector, Eng. Hamdan Khalifa Al Shaer, Director of Environment Department, Khalid Ali Bin Zayed, Director of Municipality Centres Department, Khalid Badri, Director of Corporate Marketing and Relations Department and many other senior officials of the Municipality. The Director General also went on a tour of the Municipality Centre at Al Twar, where he was briefed on the progress of work in all the services provided to the public. He interacted with all the staff and stressed the importance of direct communication with the public to ensure the quality of the work. Lootah also held a meeting with the Assistants to the Director General to examine ways to develop the services provided to the public and to facilitate easy action. DUBAI, U.A.E., 1st July 2009 – Effective today Emirates airline will step up its presence in West Asia with additional services to Colombo, and Malé from its home base in Dubai. The expansion also signals the resumption of Emirates’ flights on the Malé -Colombo route. In all Emirates will add four flights to Colombo and five to Malé, bringing its total frequency to 18 flights per week to Sri Lanka and 14 flights per week to the Maldives. Emirates wi ll also introduce an additional direct connection between Dubai and Colombo every Friday on EK 650, and another two connections between Dubai and Malé on Wednesday and Friday with EK 658. These services will be operated with the technologically-advanced Boeing 777 series of aircraft offering 12 First, 42 Business and 310 Economy Class seats. The additional services will offer passengers the convenience of morning, afternoon and evening departures.